Following ASPC By-laws the first two registrations per centre will be free of charge.From the third registration and above the price for ASPC Members is 195 € if you register before the 30th of June (Early registration) and 264 € if you register after the 30th of June (Late registration). Therefore we will proceed, once the members get to the webpage to Barça Innovation Hub, you would have to go to the chat box to announce your ASPC membership, providing the name of your center and you will receive a code with the free registration or in case the first two registrations have been completed, you would receive a code for the special ASPC rate. Also we are happy to announce that the hotel for the ASPC Board and ASPC Members is the Senator Hotel. We look forward to seeing you all in Barcelona this October! 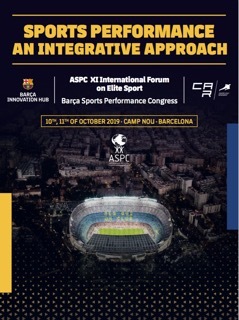 Hosts the ASPC Xth International Forum on Elite Sport.